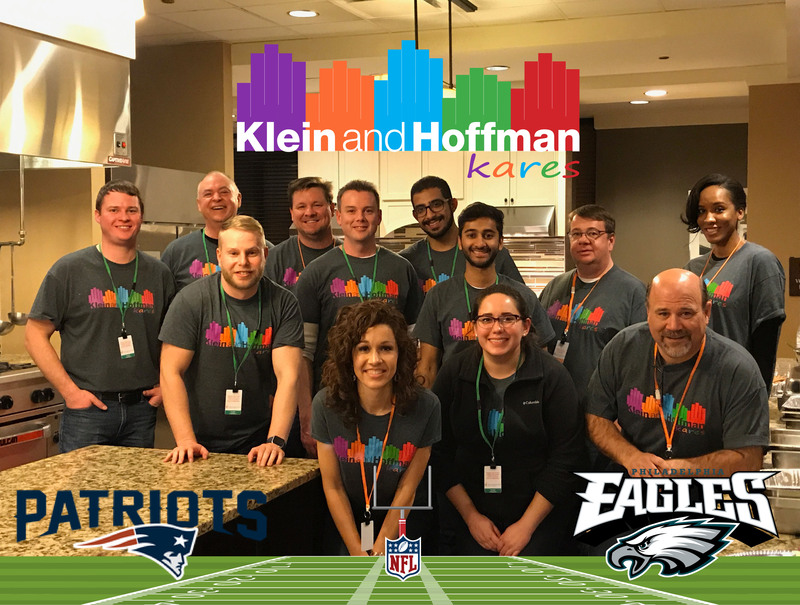 Last Friday, #TeamKleinandHoffmanKares served “Meals from the Heart” at RMHC Chicago and Northwest Indiana with a tailgate menu that included sliders, wings, tater tots, roasted veggies, & sweets to get everyone amped for Sunday’s Super Bowl game. This is one of our favorite annual volunteering events because we love to prepare dinner for the families while their little ones get treatment at Ann & Robert H. Lurie Children’s Hospital of Chicago or local area hospitals. We met residents from all over the Midwest, including one family all the way from Minnesota! We believe Gordon Ramsay would be proud – everything was cooked to perfection! I think our office is ready to get on a cooking show, maybe Cupcake Wars, Master Chef or Iron Chef? A big thank you to the Ronald McDonald House volunteers for their help throughout the night and letting us come back to serve families!